In the top middle area of the web page is a (3MB) pdf file of an article in Oct 2002 issue of PC World, about photo paper. 1. 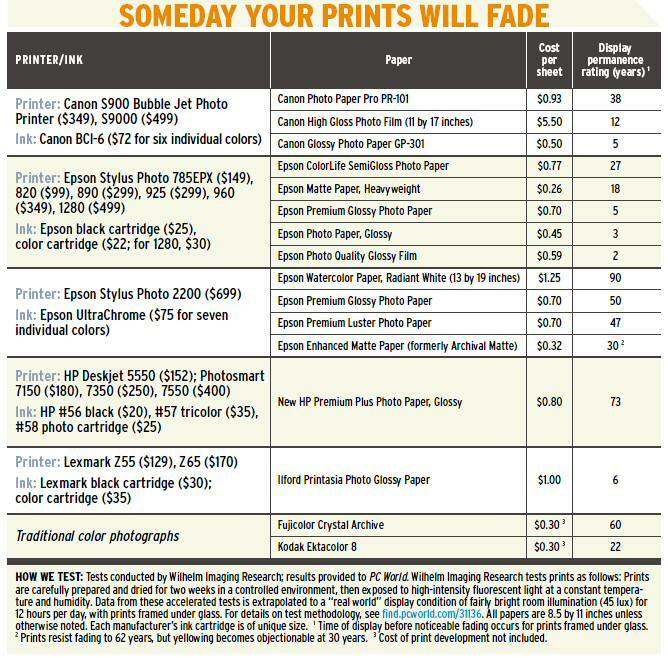 Photos may last for 2-90 years depending upon paper, ink, and printer. 2. Price is not the determining factor in photo life.